Say goodbye to September ! It's not just the month of my birthday but also the month when I bought my very first Balenciaga bag :-). I've been wanting a new black bag and I was so determined to buy a Balenciaga, so after a few trips to posh shops and mental elucubrations about the right color (black or grey ?) I got my decision and I went for this black classic Work bag, it's perfect for me also cause I prefer large handbags !. I am very satisfied with it, it's so soft and it screams quality...I am sure it's not gonna be the last Balenciaga bag for me, I think about getting a colored one for next spring-summer !. I've always been a fan of animal prints (as you can also see from some posts here on this blog) and when I saw this python print jacket at Zara I couldn't help buying it ! With this post I am taking part to the Bloggers Do It Better challenge, it's about animal prints ;-). Dite arrivederci a Settembre ! Settembre non è solo il mese del mio compleanno, ma anche il mese in cui ho comprato la mia prima borsa Balenciaga ! :-). Desideravo una borsa nuova di colore nero ed ero molto decisa a comprare una Balenciaga, così dopo un po' di giri in negozi molto 'posh' ed elucubrazioni mentali su quale fosse il colore davvero giusto (nero o grigio ?) ho scelto questa borsa classica modello Work, è perfetta per me che amo le borse capienti !. Sono molto soddisfatta della scelta, della sua morbidezza e del fatto che sia un prodotto di qualità e sicuramente non sarà la mia ultima Balenciaga, sto già pensando di comprarne una colorata per la prossima primavera-estate :-). Sono da sempre fan delle stampe animalier (come potete notare anche da altri post di questo blog) e quando ho visto questa giacca effetto pitone da Zara ho dovuto farla mia ! Con questo post partecipo al "compito" di Bloggers Do It Better che è appunto in tema animalier ;-). In those pics I am wearing a few items I bought in New York: Urban Outfitters burgundy pants (bought before I knew burgundy was meant to be so trendy this fall, I swear ! ), Jeffrey Campbell wedges and the Dash t-shirt. I bought the shoes and the t-shirt during my shopping trips to Soho...the wedges are extremely comfy and caught my eyes immediately ! Jeffrey Campbell is famous for his weird shoes...you gotta love them or hate them, and I happen to like them :-). Speaking about Dash, most of you will already know it's one of the shops owned by the Kardashian sisters, I was just walking down the streets in Soho when I saw people waiting in line to enter this shop...I got curious so I waited for a bit in line with the other people - mostly women, of course. I got in and I didn't see the Kardashian sisters (only on a giant posters) but I bought that black t-shirt and since it's very simple and basic, then it's also very easy to match !. Nelle foto seguenti sto indossando anche alcuni articoli acquistati a New York: pantaloni color vinaccio o "burgundy" (ho scoperto solo dopo essere molto di moda quest'anno, confesso) di Urban Outfitters, zeppe di Jeffrey Campbell e t-shirt di Dash. Ho preso le scarpe e la t-shirt nel corso di una delle mie scorribande di shopping a Soho...le zeppe sono ultra comode e hanno attirato la mia attenzione immediatamente ! Le scarpe di Jeffrey Campbell sono di solito molto strane, o si amano o si odiano, senza mezze misure...e io le amo :-). Per quanto riguarda Dash, molti di voi già sapranno che si tratta di uno dei negozi delle sorelle Kardashian, mi ci sono trovata a passare davanti a Soho e c'era una lunga fila di persone ad attendere per poter entrare, la maggior parte donne...mi sono incuriosita e così ho deciso di fare anche io la fila per entrare nel negozio, dove non ho visto le Kardashian se non in poster ma ho comprato la t-shirt che vedete, molto basic e comoda da abbinare !. Also, follow me on my Twitter page !!! Kisses to everyone ! What a lovely outfit! I love the leopard blazer with those berry colored pants and awesome wedges. That bag is amazing, congratulations on buying your first Balenciaga! Women and their bags ;). Well nice outfit. The jewlery looks perfect. The 3rd last picture is the best. The bag is really big, you cam put enough stuff in there to survive several days. :) is that from the Kardashians store? Love your new handbag. It looks perfect and I cannot get over how chic your blazer is. You're beautiful, I love the bag and coat! wow what a great blazer!!! and this pants color is so fantastic! <333 it! vale, so glad you shared the info on the animal print challenge. i had no clue, but what else is new. you look very lovely. i wish i was in front of palm trees by the beach, (sigh). I love Balenciaga bags but think I'm still a few birthdays away from my first one :) I did buy my first pair of Jeffrey Campbell wedges this past year though! Sooo cute...and strangely comfortable! I like the snake Jacket! Balenciaga bag is really beautiful =)). I want similar bag. T-shirt is great too =)). Such a great bag and love the wine coloured jeans too. ohh! lovely look! I like the blazer! Lovely outfit, I'm crazy about Jeffrey Campbell shoes... I'd love to have a couple of pairs! love your bag.its really nice. New outfit on my blog! I love the color of your pants!! Kisses! That's a stunning necklace! I would love to have a 'just bought my first Balenciaga bag moment'. Love your outfit! The snakeskin jacket is so hot this fall. I LOVE those jeffrey campbell shoes, i recently saw them on Free People's website. They look great with your outfit. I love that you get to take photos by the beach! Jealous! this balenciaga bag is really a great purchase it is a high quality basic . your wole outfit is very chic..
Great choice, balenciaga is gorgeous! The blazer is different, pretty nice! Such a pretty outfit, love the necklace!!! Beautiful bag. A also love your shoes. not sure what i love more... the bag or the snake blazer..
Congrats on buying a balen! What a gorgeous pick and it looks even better with your whole outfit! 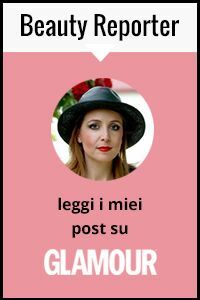 Intanto volevo ringraziarti per il commentino lasciato sul mio post, sei stata dolcissima! hey darling of course we can follow eachother :)) i just subcribed,hope u do the ame..
Of course! I follow you! Bellisima! !I adore the full outfit, specially the pithon blazer, great! You look so chic and put together! I am in love with that bag!!! Thanks for stopping by my blog! Nars is one of my favorite makeup brands and Laura Mercier is defiintely a great line too! Can I have your blazer and bag? Like now?! Le scarpe sono super belle!!! You have such a great sense of style. I am definitely following you back! You look great and the bag is great too. Love your blazer and your shirt from Dash! Super nice pictures!! great style, love the pattern of the jacket! really amazing! Totally loving this look!! so chic!! love love that blazer and wanna thank you for such a lovely comment!! Means a lot!! I love your purse! Feeling a bit jealous right now! Wow! You are so pretty, ans I LOVE your outfit. You look stunning in it! i seriously love your jeffrey campbell wedges!!!!! rah! I love his crazy weird shoes too, especially his litas, makes me wanna buy all of them if i had all the money in the world LOL a little excessive though.. bleh! anyway, just stoping by your blog like you did for mine ^-^ you're beautiful and your new bag is lovely! definitely screams out quality from your photos! (o_o) enjoy using it love! Secondo me stai molto bene con questi pantaloni, e il blazer e' proprio bello. Quest'anno secondo me zara ha fattonla sua miglior collezione, anche io ho comprato tantissima roba. Ti invidio immensamente per i tuoi acquisti americani e spero quest'anno di riandare anche io negli USA! The blazer is great! I like the colour of pants too. I love your blog, and i was very surprised with your comment, since you have so many followers, thans for spending time in such a little blog like mine. Again, thank you so much for visiting me. Love the pants burgundy is a pretty colour! Great outfit! You look amazing! Love the bag! I'm following you hope you wanna follow me back! Love your outfit, the blazer is so beautiful! you are so lovely! of course, i would like to follow your outfit :)) followed you! The bag is great and the blazes so in..But most of all I love your trousers! The color is amazing..
Grazie per la visita sul mio blog!!! Hi again!! Actually I can see me in your followers..My name is Tina Astra and my pic is a sea star.. I loved your outfit! And what a nice blog! Come to visit me again sweety! Ola minha querida!! Você esta linda! e essa bolsa é tambem maravilhosa! I love your shoes and the color of your trousers! Lovely otufit! Amazing pats and shoes! What a nice blog! It looks so cute and your shoes are amazing! Thanks for your comment! I love your outfit,especially the blazer :) And of course I follow you,here and on twitter :) please follow me back! i love those shoes and nice blog.. IM following you…so i sure you gonna follow back tooo..
Outfit molto bello! E la Balenciaga *_____* è favolosa! Great post, I love your jacket and bag. Thanks for comment on my blog. You look amazing :) love the shoes and bag! Those shoes are too cute!! p.s I would love to follow each other! I am following you now! Lovely...I would love one of those bags! and thanks for your lovely comment on my blog . Thanks so much for your lovely comment! Following of course, your blog is adorable! Hello! Thanks for visiting my blog! I follow you, follow me back? This look is totally fabulous. Thank you for visiting my blog and I follow like you said so follow back? love the outfit! love the dash top! Love, love your outfit. The blazer and bag are amazing! Thanks for the comment, i follow you. So cool your blog. thanks for visiting my blog! i'm a new follower to yours now!!! great shoes and purse! i'm so ridiculously jealous of your balenciaga! and totally loving the zara blazer! Gee u stunning ! Thats an awesome outfit ! I'll come back here in ur blog very quickly bcause i find it sooo beautiful ! The color of those pants is amazing!!!!! Thanks for stopping by ;) Cheers! Wow great bag! Also, U look fantastic! Hey sweets, thank you for the lovely comment! Che bella quella borsa! Sono Americana, ma studiavo italiano per 6 anni (non sono fluente, ma posso capire abbastanza). Mi piace moltissimo che il tuo blog e' scritto in italiano ed ingelese. Quest'idea e' molto innovativo ed interessante. Grazie molto per gli articoli. Anche, il tuo senso di moda e' brillante! so nice!!! and the necklace is wonderful! grazie per il commento! e complimenti a te per questo outfit..mi piacciono troppo le tue jeffrey campbell! i really love your look, it's amazing! especially i want your necklace! thank you for your comment on my blog! Your outfit is great, i love animal prints! And you have such a beautiful background! you're lucky! Thanks for visiting, there is new post on the blog! your jacket is fabulous! love. Gorgeous as alway! Great pics! Congratulations on your first B-bag! I got my first one back in 2005 and am still buying them today! They are timeless, light and just soooooo soft! Love the burgundy pants and the snakeskin print blazer..Very chic! Ou:) How cute your blog is:))) I'll follow you with pleasure! Very interesting! Thanks for visiting my page. I have visited your page before and loved it. I think I forgot to follow it but I am now :-) I don't want to lose your page. You have such nice clothes and I saw your shoe collection. LOL! And your collection of lipsticks. I really like this jacket. It's so unusual. And the bag... Beautiful. Very gorgeous. I like your jacket. Wow your outfits are beautiful!! :D Awesome bag! I'm having a giveaway, check it out! Pasando para retrivuir a sua visita e é claro conhecre seu blog, alias adorei tudo por aqui sem dizer nessa postagem com fotos lindas e sua bolsa é realmente linda adorei! Pretty pictures too, you look gorgeous. what a grew classic purchase-congrats! Ciao! Come stai: D Grazie per commentarmi neL mio blog! Hi Vale! Thanks so much for the nice comment on my blog. I haven't been to a Dash store yet, but I want to go. Super bella!!! Me ha piacuto tantissímo su look my dear. that Ballenciaga bag is to die for! And I simply adore that necklace! What a statement! Adorable, really loving the berry-hues pants. Thanks for commenting my blog, I'm really loving your style. your style is awesome!! I truly love it!!! I'm soo happy you found my blog... cause yes I am totally following you! wow, I love your blog and following you now!!! hope you follow me back, as you said..
Hey! Thank you for the lovely comment on our blog! Hope u drop by again! I'm loving the maroon pants! Hi Honey! Thanks for your comment! Of course we can follow eachother! I'm following you and waiting for you again on my blog! Very beautiful blog and outfits!!!! Thank you for the lovely comment :) I love your blog & I think your style is fabulous and so chic. I'm now following. PS. I love that Zara blazer! loving this look. Thanks for commenting on my blog!!! Am I ready for winter ?